The Adirondack Balloon Festival is one of the highlights of fall in Upstate New York. 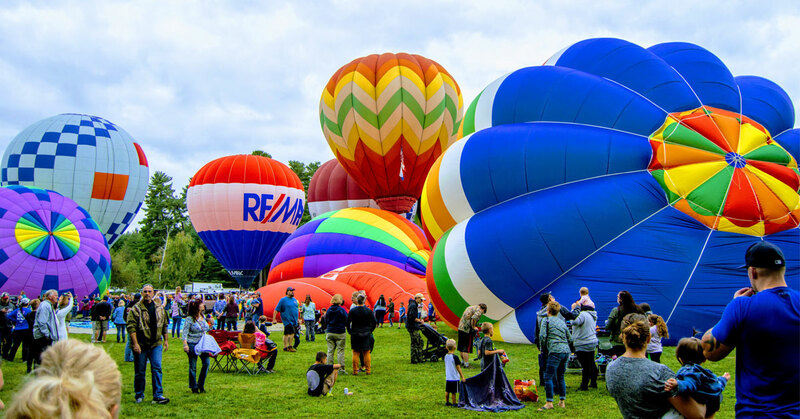 A delight to visitors, passersby, and locals alike, the Adirondack Balloon Festival takes place the weekend of September 19 - 22, 2019 in Glens Falls and Queensbury, NY - bringing fun for all ages! 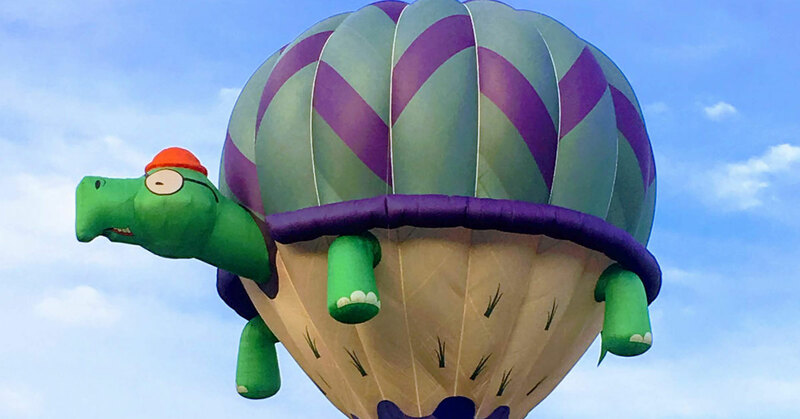 The balloon festival features the launch of dozens of balloons, all brightly colored, and many in fun and special shapes. 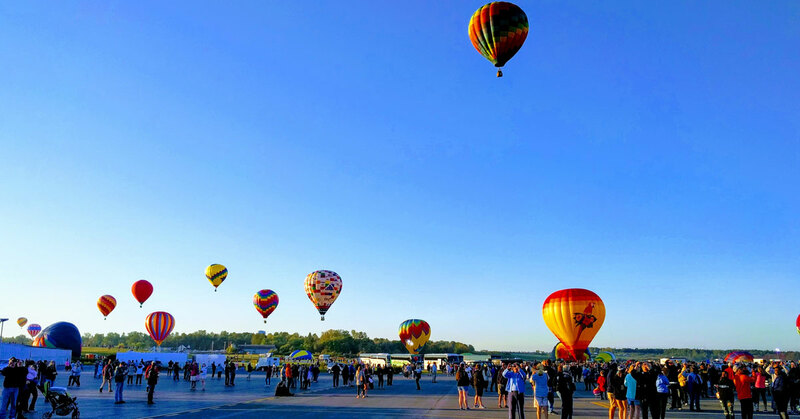 Visitors can walk inside half-inflated balloons, watch riders prepare for the flight, and see the exceptional sight of air balloons taking off from the ground nearby, one after another, and floating into the sky. The opening ceremony is held Thursday, September 20 in Glens Falls' Crandall Park. Spectators can gather to watch balloons take off into the sky as the festival kicks off! Over the weekend, more than 80 balloons take to the air all at once, and the entertainment on the ground equals the spectacle in the sky. The Adirondack Balloon Festival in Glens Falls and Queensbury is free to all. ALL BALLOON LAUNCHES SCHEDULED ARE WEATHER PERMITTING. Please check with the official Adirondack Balloon Festival organization if you are unsure about weather conditions and their effect on the festival. No dogs, drones, or remote control aircrafts are allowed at any Balloon Festival events. The Festival is a non-smoking event.